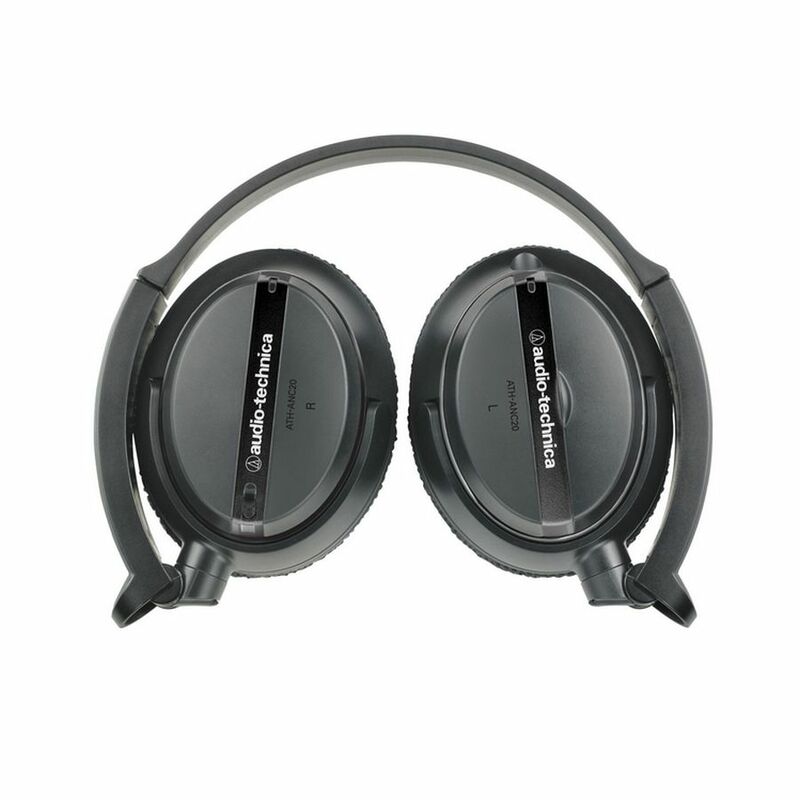 The ATH-ANC20 QuietPoint® Noise-Cancelling On-Ear Headphones block up to 80% of environmental noise and offer outstanding sound quality, comfort, and portability. 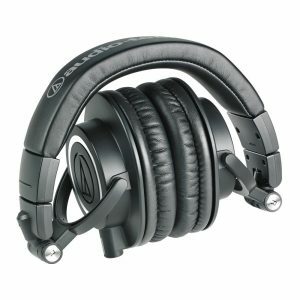 The headphones feature soft ear pads for long-wearing comfort. 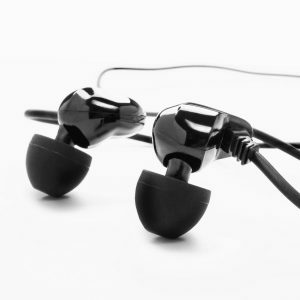 The detachable cord offers a convenient in-line volume control. 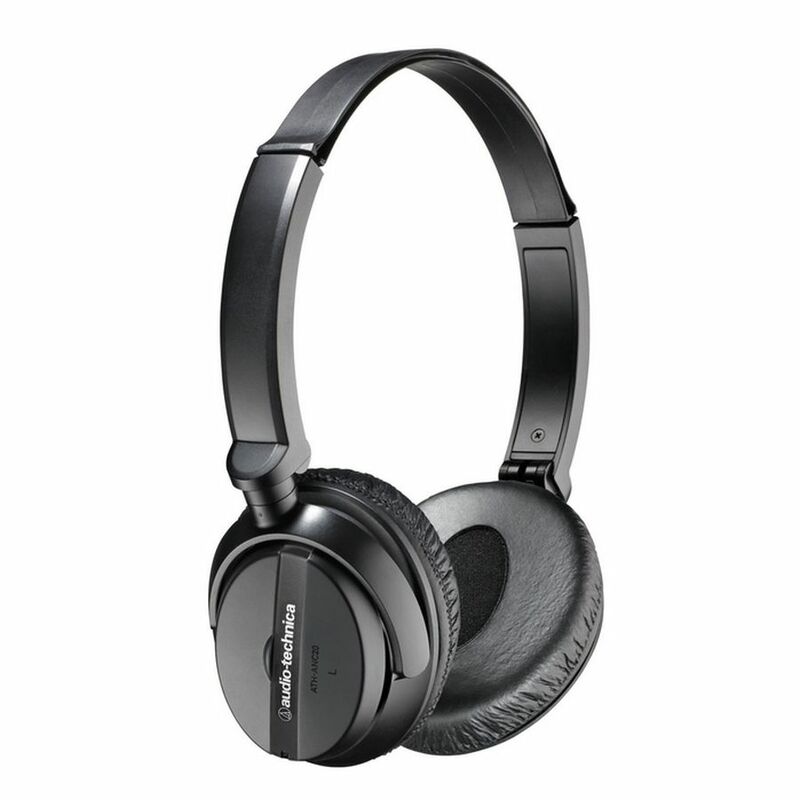 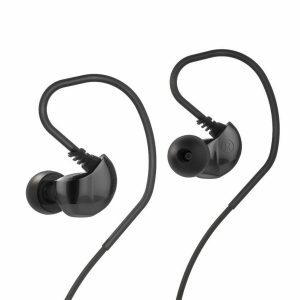 Unlike many other noise-cancelling headphones, the ATH-ANC20 audio functions even without batteries or when its noise-cancelling function is turned off. 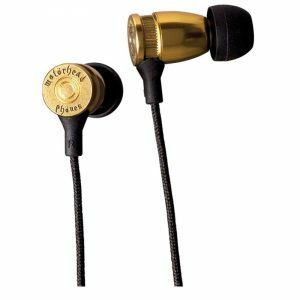 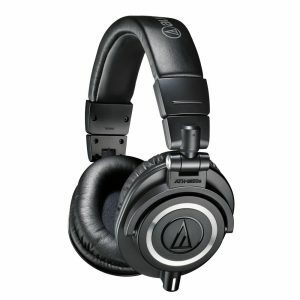 Audio-Technica’s QuietPoint headphones use active noise-cancelling technology to reduce distracting background noise, providing an exceptionally comfortable and restful listening environment in areas with high ambient noise. 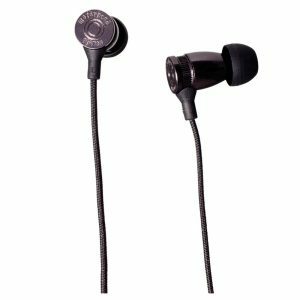 Active noise-cancelling headphones have components not present in ordinary headphones: microphone that picks up ambient noise, noise-cancelling circuitry, and battery-powered electronics. 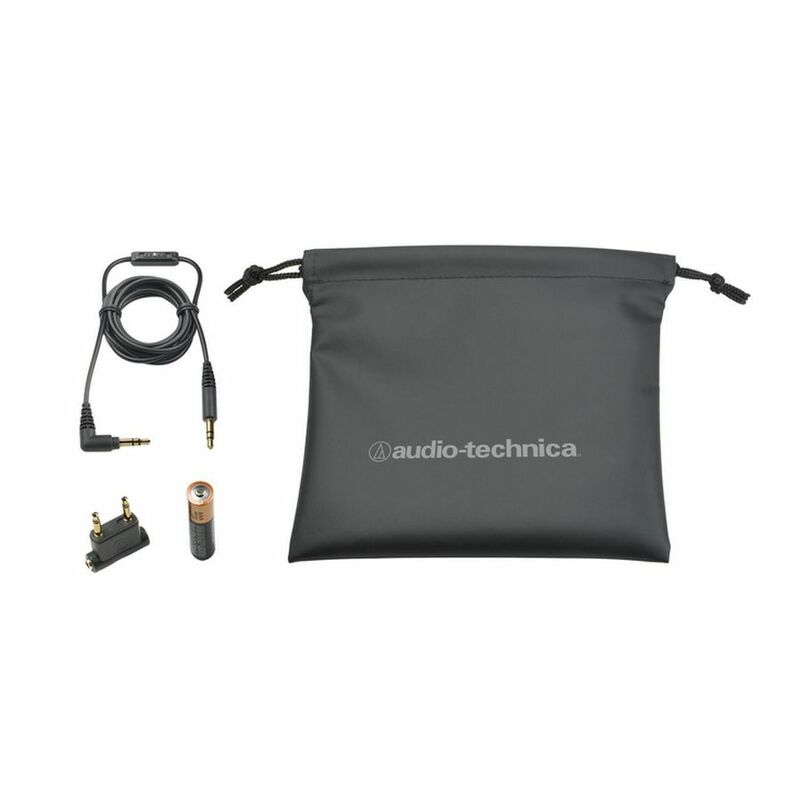 The ATH-ANC20 folds for easy portability and storage and comes with an airline adapter, AAA battery, and protective pouch.